Americans were fed up.\n\nIn 1980, confidence in the American economy and government hit rock bottom. 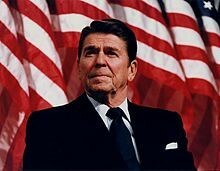 Looking for a change and the promise of a better future, voters turned to Ronald Reagan for answers. How did Americans' feelings about the country change throughout the 1980s?